By the 16th century around two-thirds of the religious houses were small establishments. 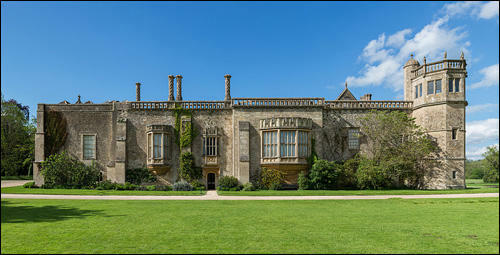 Many housed only a handful of monks and nuns had no vast estates. Most of the women's houses were like this. Only 17 of over the country's 200 nunneries were of any great size. Even in these smaller houses the standard of spirituality was not very high and vows of chastity were regularly broken. The monks employed a large number of servants to look after them. 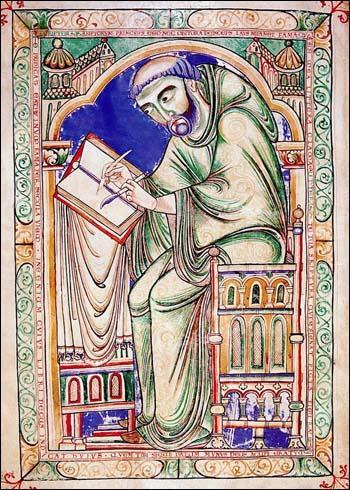 By the end of the 13th century, the accounts reveal that there were more servants in Canterbury Priory than monks. The monks employed people to buy and cook their food, wait on them during dinner, tend their gardens, look after their animals, wash their clothes, and to clean and repair the monastery. The monks also paid actors and musicians to entertain them. According to Roger Lockyer: "Feasting had replaced fasting, dress was extravagant, services were poorly attended... In charity and hospitality the same decline is recorded. Almsgiving may have averaged the stipulated one-tenth of monastic revenues, but it was indiscriminate and did little to relieve the genuine problem of poverty." The prior is frequently drunk... The brothers of the monastery, especially the older ones, play dice and other games for money. The lord abbot does not choose studious brothers but looks for lazy ones. He sells wood and has kept the money for himself... He had in his chamber a certain maiden named Joan Turner... The monastery has no beds and other things for receiving goods. One of the major decisions of 1536, which involved both Cromwell and the king, was the dissolution of the minor monasteries. The former had been originally of the opinion that this should proceed on an individual basis, as had been done by Wolsey, but by the beginning of 1536 had been persuaded that it would be better done by Act of Parliament. This may well have been for the purpose of demonstrating that the country was behind the king in this exercise of the Royal Supremacy, and Henry would have been easily convinced for the same reason. The reports of the commissioners, who had been visiting the religious houses since the previous year, provided an adequate excuse. Some of the monks lived good lives and did good work in teaching and helping the poor... there were others who lived bad lives, and spent their money upon themselves... When Henry made up his mind to destroy the monasteries and nunneries, it was not hard for him to find out many bad things which could truly be said of the monks and nuns, and which he could use as an excuse for taking away their property. Henry VII's... foolish wars in France had emptied his treasury... If Henry had not been bankrupt, he might never have dissolved the monasteries at all; or he might have kept all their lands and tithes for the Crown, and so perhaps enabled his successors to establish absolute monarchy in England and charity, as at first he intended to do, had not his financial needs been so pressing. One might think that Henry saw the religious orders as a threat to his newly founded Church of England, having previously been supporters of the papacy. But two years before, all but a very few clerics (Thomas More and John Fisher being notable exceptions) had signed without demur the Act of Supremacy which upheld the validity of the king's marriage to Anne Boleyn and rejected the authority of the Pope who had pronounced against it. Only two orders had offered any resistance to the oath, and had paid the price. The loyalty of' the rest was not in doubt. This leaves us to draw the conclusion that the prime interest of the government in the Dissolution was, from start to finish, in the money which could be raised. This hypothesis is supported by the fact that income was the criterion for suppression. Simply, any monastery receiving less than £200 a year was closed. The alleged state of the house's morals was quite irrelevant. It was the wealth that mattered. A few schools were founded out of the spoil, a little was used to endow six new bishoprics. The rest was seized by the crown and sold to nobles, courtiers, merchants and groups of speculators. Much was resold by them to smaller landowners and capitalist farmers, so that a large and influential class was created who had the best of reasons for maintaining the Reformation settlement. This dispersal of the monastic lands by the government was poor economics, but politically it was a master-stroke. Cromwell's power was wielded nowhere more spectacularly than in his attack on Church property, which was launched in order to subsidise a Treasury much drained by the cost of defending the realm against the possibility of Spanish attack, including fortifications in Dover and Calais and of maintaining the peace in Ireland, which was becoming increasingly rebellious as the English turned their backs upon Rome. Between 1529 and 1559 the English church was changed more rapidly and more dramatically than at any other time in its history. First, under the compulsion of Henry VIII's desire for a divorce, papal supremacy was repudiated and the king was declared to be supreme head on earth of the Church of England. 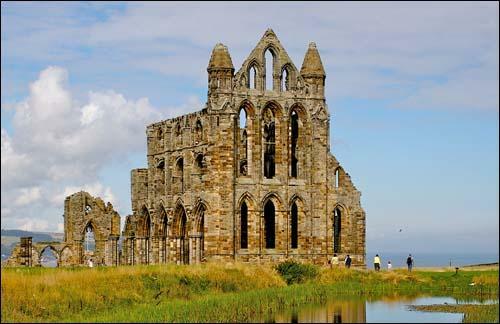 In 1536 and 1539 the monasteries were dissolved and their lands and wealth appropriated to the crown. The second phase of the Reformation in England was marked by the doctrinal changes of Edward VI's reign. The first English Prayer Book was issued in 1549, and until 1553 there was a steady advance of Protestant doctrines and practices. Question 1: Study source 1. What is Eadwine doing? Why were monks doing this task less important during the Tudor period than previous centuries? Question 2: Read source 2. Explain why there was a decline in the number of monks and nuns between 1350 and 1500. It will help you to read about the Black Death before answering the question. Question 3: Study sources 3, 4, 5 and 6. What criticisms do these sources make of the monks and nuns? Question 4: Study sources 8, 11 and 14. How do these images help us understand what happened to the abbeys after they were closed down by Henry VIII? Question 5: Give as many reasons as you can why Henry VIII closed down the monasteries. You will need to read the introduction and all the sources before answering this question. Question 6: Study your list of reasons why Henry VIII closed the monasteries. Select those reasons that were (i) the most important to Henry (ii) the least important to Henry.